 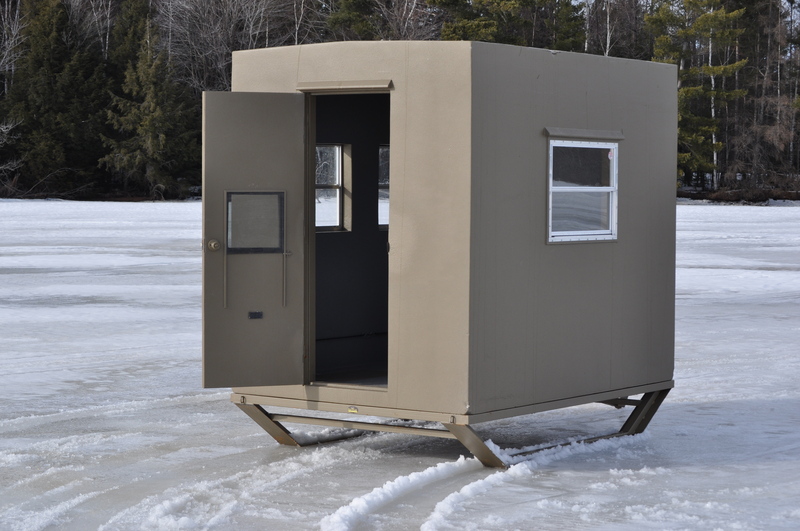 Ice Shack | | Rhino Building Products, Inc.
Ice fishing is not for those who shy away from extremes and neither are our ice shacks. 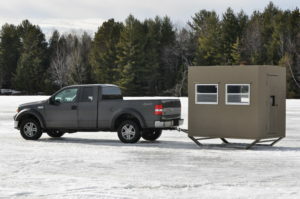 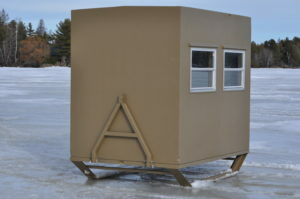 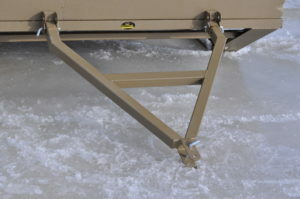 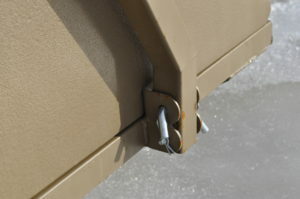 Rhino Building Products ice shacks are designed to make ice fishing more comfortable and extend your time on the ice. 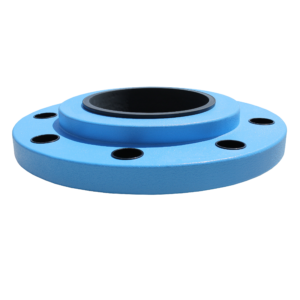 With four inches of foam, our shacks boast superior insulation top to bottom- even the floor so your feet don’t have to endure a long day of standing on the ice. 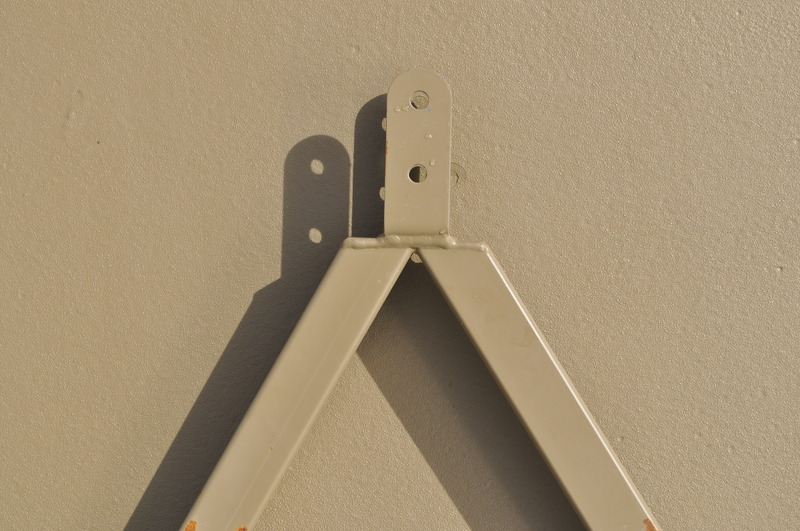 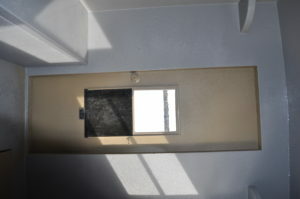 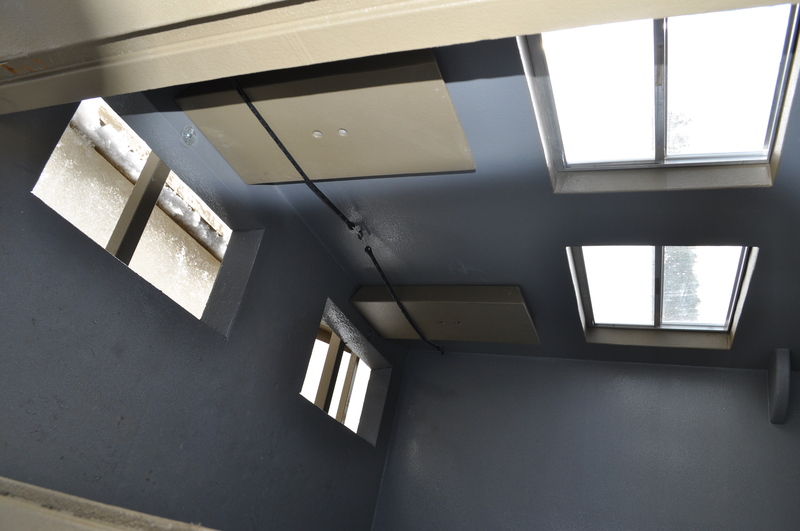 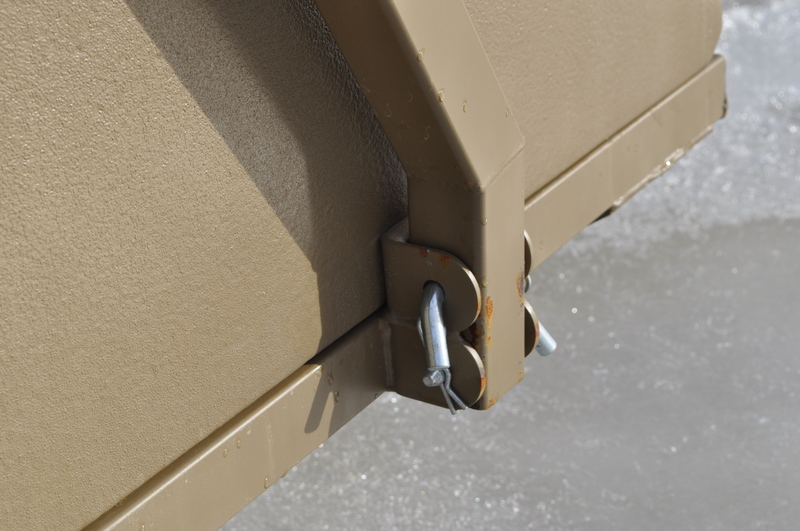 The rigid walls provide plenty of protection from the brutal cold and abusive winds. 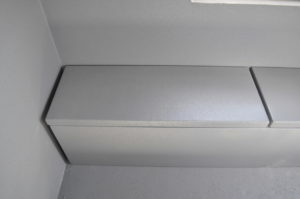 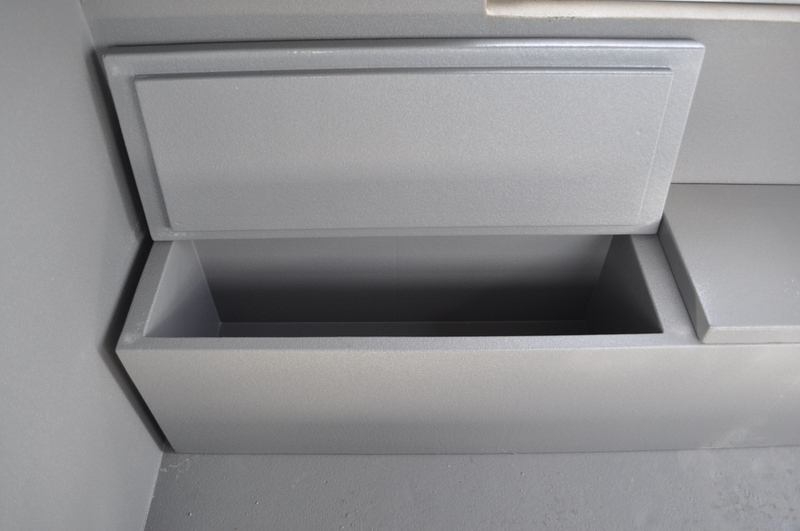 Although the built-in sled allows for easy portability, our ice shacks have many features of more permanent shelters, including key locks, storage benches and shelves, and coat hooks. If you don’t make it back before the ice begins to melt- fear not, these ice shacks will float on the water for easy retrieval. 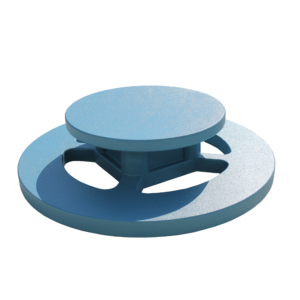 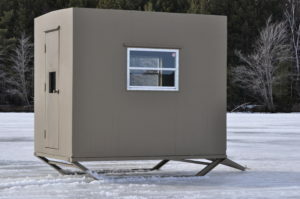 We offer two sizes of icehouses. 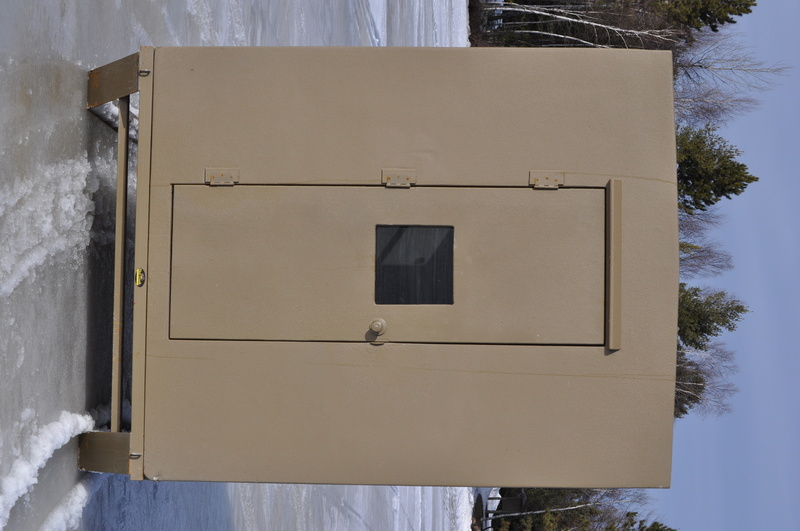 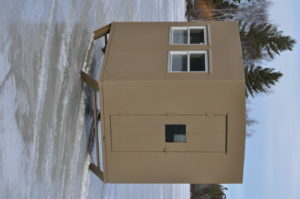 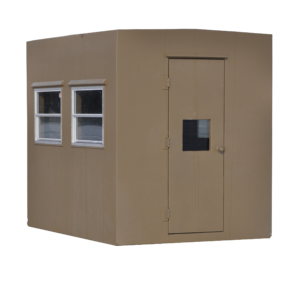 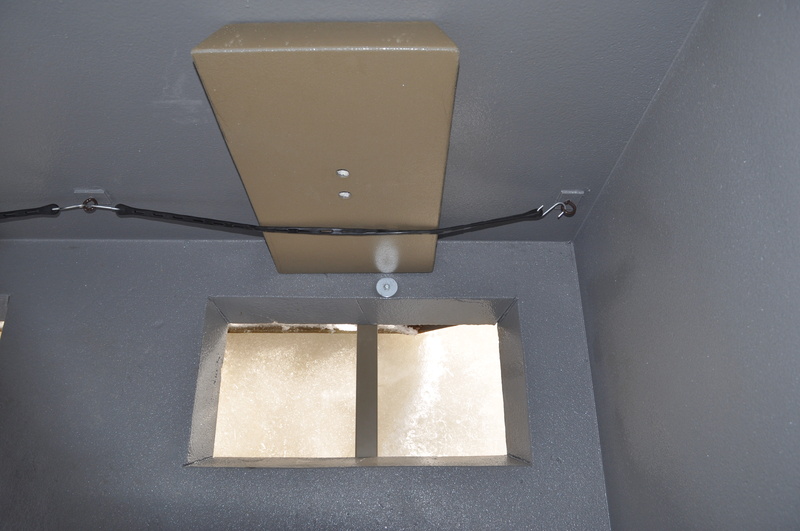 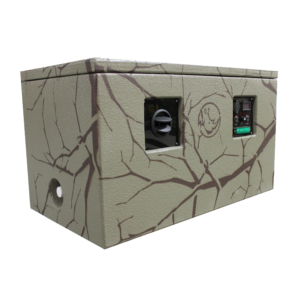 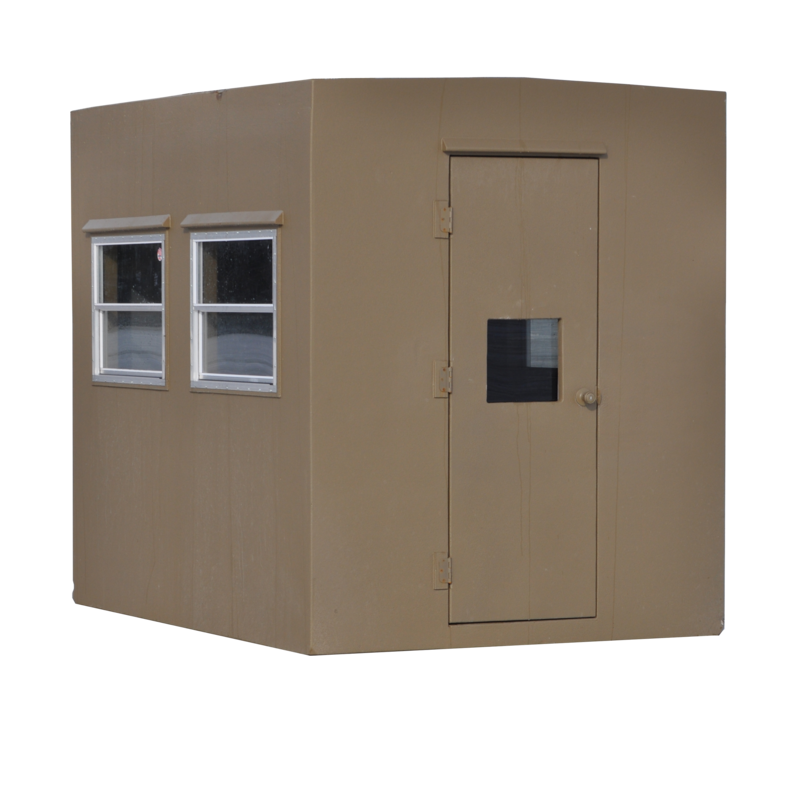 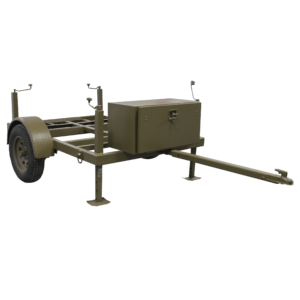 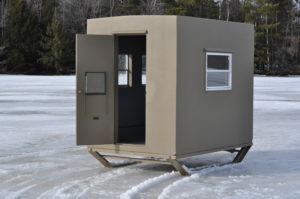 The Ice Shanty is ideal for the solo angler, and the roomier Ice Shack is designed for two or three fishermen and features removable floor panels. 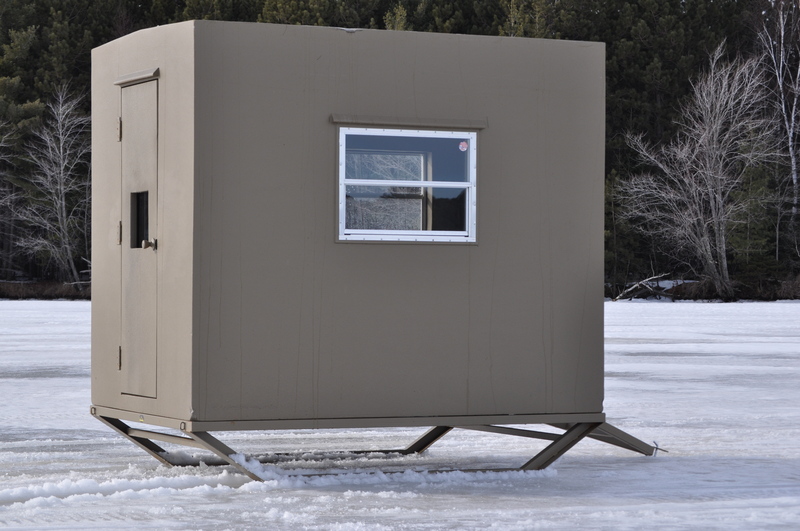 Both houses are fully assembled and require little time to set up, so grab your gear and start making the most of your time on the ice.